One of the chores that the homeowner must do is to mow the lawn. This tedious task helps form a healthy and beautiful turf but is time consuming. A perfect solution is a no mow lawn. What is a no mow lawn? It is just what it says, a lawn which is virtually maintenance free and still provides lovely green landscape coverage. What is a No Mow Lawn? No mow lawns are mixtures of three species of fine fescue. 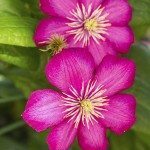 Fescues are hardy plants with visual appeal and require little specialized care. They can provide solutions for moisture conservation, natural habitat, soil amendment and reduce the need for pesticides and herbicides. Fescue is a perennial cool season grass, of which several species are useful as low-growing plants with a clumping and spreading character. Their easy nature means no mow lawn care is minimal and highly environmentally friendly. Creating a no mow lawn with the new seed mixes is similar to building a seeded grass type lawn. 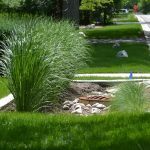 The idea is appealing for its low maintenance but also supplies sustainable turf plants which require fewer resources than traditional turf grasses. Try the new no mow lawn ideas in your garden for care free beauty. As with any turf project, it is necessary to prepare the site correctly prior to planting. Once you have the area prepared, you need to choose the variety of no mow fescue that is appropriate for your needs. Creeping red fescue is slow to fill in but has seedlings of excellent vigor. Chewing’s fescue is a bunch type grass which prefers shade and creates a more dense turf than the red variety. Hard and sheep fescues are not tolerant of mowing but make excellent no mow erosion control on swales, ditches and hillsides. Each has different tones and drought tolerances, with equally different reactions to mowing. As natural grasses with no mechanical maintenance, almost any of these will perform well. There are available blends for your region which will give you the varieties of plants recommended for no mow lawn ideas in your zone. Sustainable turf plants such as fescue provide reliable solutions for energy conservation and reduced need for resources such as water. They can be mowed if you prefer, but the beauty of the no mow lawn means they shine without cutting and the result is a natural landscape that blends into the surroundings. Use a balanced starter fertilizer at planting and a seasonal spring application of a formula with double the nitrogen as compared to phosphorus and potassium. Once established, these plants will crowd out most weed species and simple hand pulling of advantageous weeds is sufficient. No mow lawns present a solution for the conscientious gardener to reduce their carbon foot print and help establish more sustainable landscaping practices. 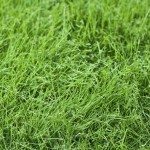 Read more articles about General Lawn Substitutes Information.